Born in Edinburgh, Midlothian, Scotland on 25th August 1930. The son of a truck-driver, he came from a background very different from that of his screen alter-ego. After leaving school, he joined the Royal Navy, but it was his career as a bodybuilder that led to his representing Scotland in the 1953 Mr. Universe contest, in which he placed 3rd. He appeared in several stage productions, and made his television debut in 1956. He signed a movie contract with MGM in the late 1950's, which led to a string of film roles. 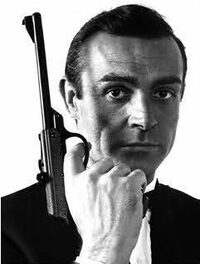 He was cast as James Bond in Dr. No in 1962. 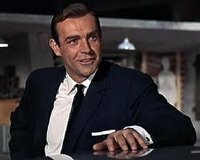 He won the role over Cary Grant, Rex Harrison, Trevor Howard, Patrick McGoohan and Roger Moore, even though Ian Fleming preferred Moore and was quoted as saying, "He [Connery] is not exactly what I envisioned" as James Bond. Connery quit the role after You Only Live Twice, in order to devote more time to his family and to golf. The next Bond film starred George Lazenby, but Connery was persuaded to return as Bond in Diamonds are Forever. With that role, he said he was finished as Bond. Connery has played many varied roles in films over the years, working with directors such as Alfred Hitchcock, John Huston and Brian De Palma. He won the Academy Award for Best Supporting Actor as well as the Golden Globe award in 1987, for his role as the Irish cop Malone in The Untouchables. He was also named People magazine's "Sexiest Man Alive" in 1989. He continues to work steadily.